The German magazine auto motor und sport has published in the actual issue the Summer Tyre Test 2017. The tested tyre size was 245/45 R 18 W/Y, test vehicle a BMW 5-series Touring. 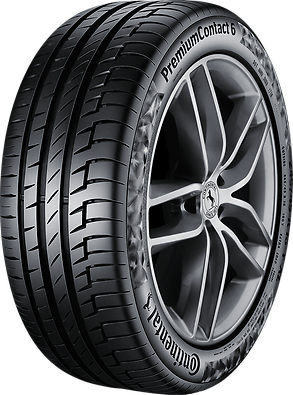 Rating for the PremiumContact® 6: "Recommended"
"Summer Tire Super Test 2017". The tested tire size was 225/50 R17 Y, test vehicle is a BMW 3 series. 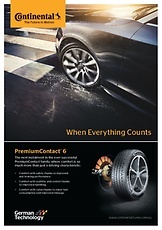 Rating for the PremiumContact® 6: "vorBILDlich, Testwinner, EcoMaster"
Maximum wet braking while improving mileage due to Safety Silica Compounds. Sporty driving in every car thanks to handling-optimised pattern design.